In a saucepan, mix together the coconut milk, the egg, and the honey. Bring the coconut milk mixture to a boil while whisking constantly. Then pour in the water-tapioca mixture while continuing to whisk. Cook for 1 to 2 minutes and remove from the heat. 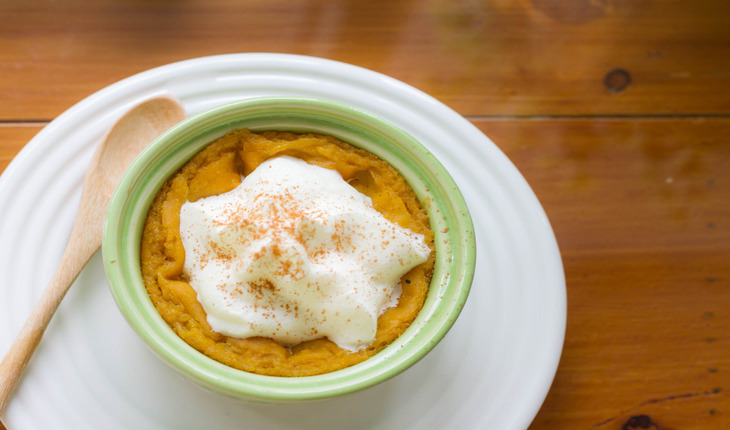 In a bowl, combine the pumpkin purée with all the remaining ingredients, and whisk until well blended. Slowly add the pumpkin purée mixture to the coconut milk, whisking constantly, and place over low heat. Cook, stirring constantly, for 3 to 4 minutes. Divide the custard evenly among dessert bowls, and chill until pudding is set, 1 to 2 hours. Try adding a dash of grated fresh ginger!